Deepika Padukone celebrated her 33rd birthday yesterday and many famous personalities wished the Paadmavat actor. Deepika’s close friend Alia Bhatt shared a picture on January 5, wishing the former on her special day. Now, Deepika has a lovely reply for Alia. 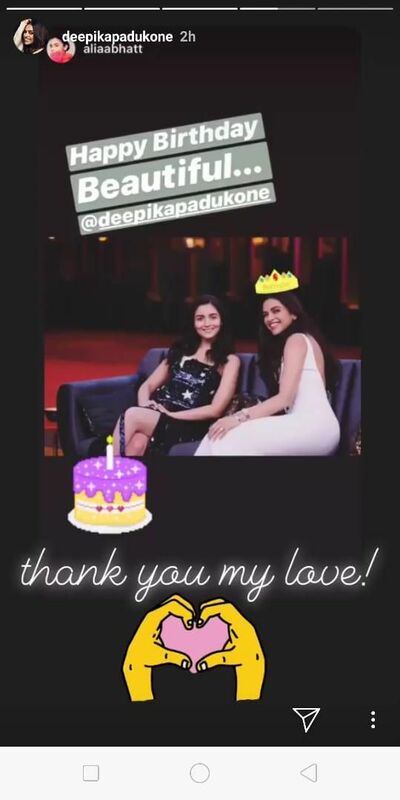 Earlier today, Deepika took to her Instagram handle to share a screenshot of Alia’s story and wrote, “thank you my love!.” Alia, who shares a close bond with Deepika, yesterday shared a picture with the Bajirao Mastani starrer on Instagram where she has put a crown on the birthday girl’s head. 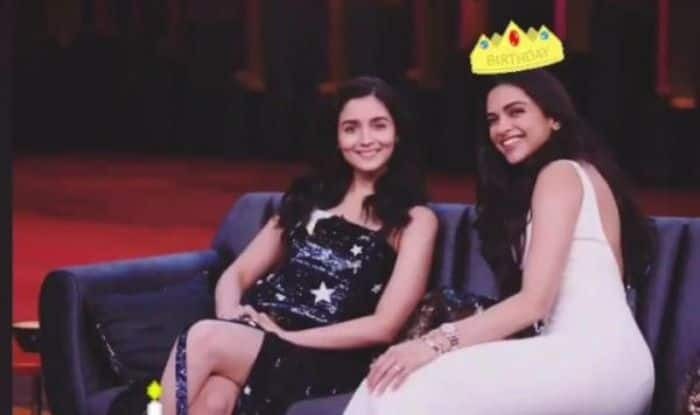 She captioned the picture, “Happy Birthday Beautiful.” It was a picture from the sets of Koffee With Karan where the two had made their appearance together and shared many untold stories about their mischievousness. In the same interview, the two had revealed how they attended Cold Play’s concert together and how they wanted to go to the loo and did something really fishy there. They unveiled that instead of using the women’s washroom, they went to the men’s one since the ladies toilet had a long queue.